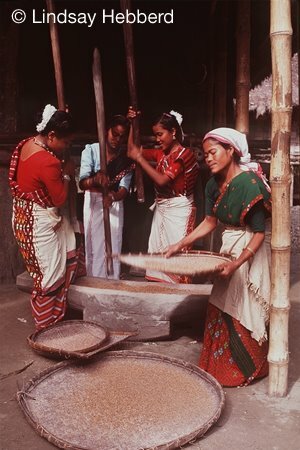 Aka, Dafla, Abor, Miri, Mishmi (simply using their paleo-nymous terms) or temporarily acronym as ADAMM, were a socially and linguistically contiguous unit of the human stock, who once upon a time, lived together in the lofty terrains of the northern hills of Assam for about one thousand and five hundred years. Some European ethnologists identified them with a common name as ‘Mishing’ and the language they spoke as ‘Mishingish’; while a Persian tourist in the seventeenth century called their country as the land of ‘Miri-Mishmis’. But today they, of their own, are not convinced with such labeling; they are rather at home with a new terminology coined as Tani. In an attempt to whip up innate sentiments of the Adamm conglomerations, they are presently flaunting with a noun-adjectival term prefixed with Tani, such as Tani-people, Taniland, Tani-language, Tani-brotherhood and Tani-Lipi etcetera. 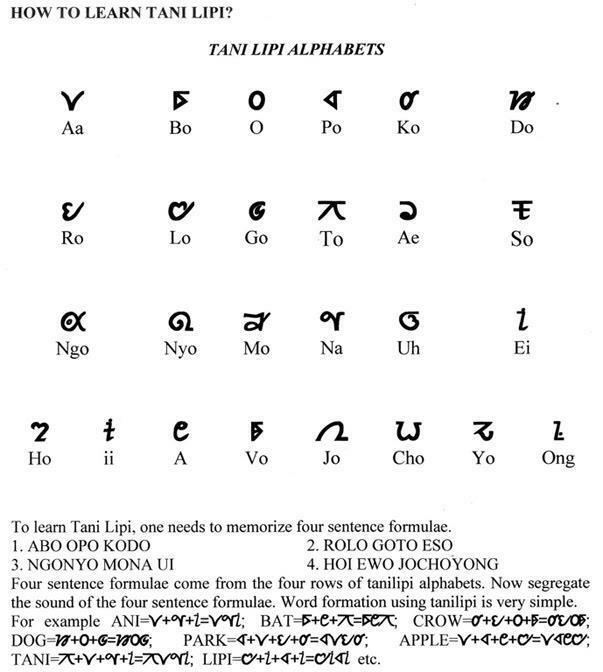 The Tani-lipi, was purportedly designed by Mr. Tony Koyu from Arunachal Pradesh, a 2005 Shankar Bharati awardees, and reportedly gained much popularity, of late, in Arunachal Pradesh as the alphabets for reducing Tani speeches for written communication. The Mishings of Assam valley are also seemed to be inspired by this development; although, the greater parts of the population are not joined in the chorus with one accord. These overwhelming sections find flaws with the new findings on some critical aspects; broadly citing history, geography, politics and technology as some of the factors why is the Tani-Lipi not recommendable for Mishing language at this junction? History betrayed the Abor-Miri oneness several times in the past with communal discords. Little wonder, within the communities they lived in, one used to claim superiority over another and vice versa. For instance, when the Miris migrated to the plains of Assam, their population dwindled severely in the mountain country; the Abors had then conveniently claimed they were the masters of those minorities. On the other hand, while the Miris pitched up their base in the plains they linked themselves with modernity and looked down upon their highland counterpart with stark contamination. Today, gap of the geo-political divide of the two communities, Miris on one side and rest of the Tanis on the other, is in the unbridgeable remoteness. They live separately in two political setups. Governmental supports in the matter of implementation of policies need to be pursued independently from two administrative dispensations. Over and above, the former has presently initiated writing their language in Roman scripts and the latter just experimenting with the new finding. Often, geography and politics keep social bonds mercilessly apart, despite emotional attachment of the Tani-brotherhoods. We cannot ignore this reality too. Thirdly, most importantly is the technological knowhow. Creating alphabetical scripts anew and building up its machinery and infrastructures including computer keyboard, development of hardware, software, typographical institutions, its training outlets, operations and services will become beyond our reach in terms of inadequate funds and manpower. If we do so, our language will be at the back-foot. Even after acquisition of machineries, the market’s demand for these equipments will put a big question. In other words, printing presses with huge investment-cost defrayed towards installation of the Tani-Lipi for Mishing language alone within the state will not be commercially viable propositions due to its underutilization. Therefore, on a rational view, it would be prudent if the speeches of the linguistic minorities including Mishing language be developed with the help of any of the easily available alphabets in the country. As mentioned above, Mishing language is now acceptably reduced to writing in Roman script with modified version. However, here also the question of technical alteration arises. For instance, deployment of additional diacritical marks over several pivotal letters becomes cumbersome, causing obstruction of typographical speed, which needs specific training separately for the language alone. If not equal measure, in that case, the problem mentioned in the above paragraph is not free from over. Issues of technological amendment persist. However, further modification of the orthographical pattern of the language is on the pipeline. Some organizations are working seriously towards this end. As per their studies, the Mishing language can be reduced to writing without any morphological alteration of the Roman letters; which means the Mishing lexicography can be scientifically constructed without disturbing linguistic idiosyncrasy of the language. In the advancement of the language in evolutionary process and in progress of time, this method of orthographic system may soon be adopted to ease out technical bottleneck.